McLaren Racing CEO Zak Brown says expansion into IndyCar in 2019 is “looking favourable”, although the company is still in the process of completing due diligence on the possibility. Brown attended IndyCar’s Detroit double header earlier this month along with McLaren racing director Eric Boullier and team consultant Gil de Ferran. As well as meeting with team owners, Brown and Boullier also met with Sprint CEO Michel Combes. Sponsorship from Sprint would cause no conflict of interest in IndyCar in 2019 as rival brand Verizon’s sponsorship of the series ends this year. “We’re seriously considering IndyCar, we’ve been doing some due diligence for quite some time,” said Brown. “As stated before, if we’re going to get into other forms of motorsport which McLaren has a great history in, we need to do it in a way that first and foremost doesn’t compromise our Formula 1 activities, or we wouldn’t consider it. “It needs to be commercially viable, something we feel we can be competitive in, and fits our brand. It has to tick all of those boxes, not most of those boxes. “We’re not done yet with our due diligence, but it’s looking favorable. McLaren built a strong legacy in Indycar in the 1970s, both as a works team and through other teams – notably Penske – running its chassis. When McLaren pulled out of Indycar racing at the end of 1979, it had amassed 28 race victories – including three Indianapolis 500s. Brown confirmed discussions about Alonso’s future are ongoing, but would not be drawn on any possibility of the Spaniard switching to IndyCar full-time next year. 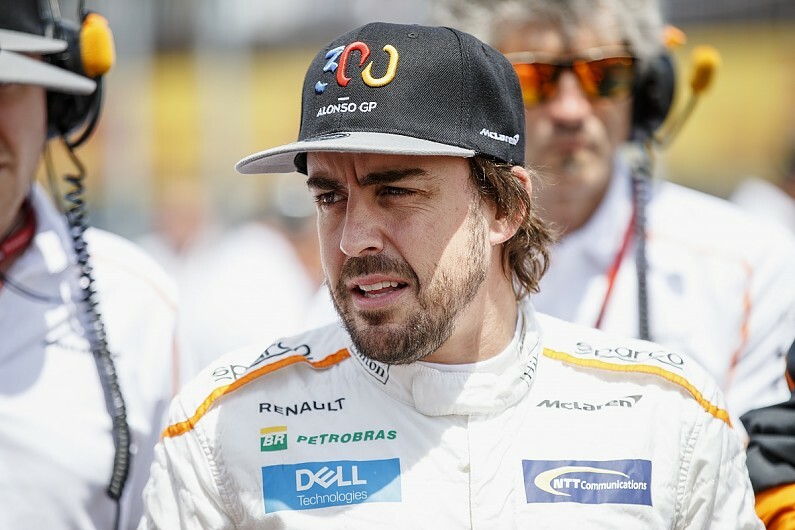 But the team is insistent that it is not considering an IndyCar project simply to keep Alonso happy, and that the priority is that it satisfy the business and brand objectives. “We’re in talks with Fernando,” said Brown. It was about this time last year that we started having conversations. “He’s been doing F1 a long time, I think he’s enjoying driving as much as he ever has. I think he’s driving better than he ever has. “He’s a little frustrated with F1 being a bit more of a constructors’ championship than a drivers’ championship. “He loves F1, loves WEC [with Toyota], did Daytona [24 Hours with United Autosports], so hopefully we’ll keep Fernando in the McLaren environment in some way, shape or form. “I don’t really want to elaborate on the conversations that we’re having with him, beyond what I’ve spoken about. Brown emphasised that despite McLaren’s recent ill-starred partnership with Honda in F1, he would not favour Chevrolet engines over HPD in IndyCar, whether McLaren entered the series as a standalone entity or formed an alliance with an existing team. “There are two excellent manufacturers, both of whom do an excellent job, in IndyCar,” he said. “We’d love to race with Honda again. They make great engines, they win a lot of races in IndyCar, so we wouldn’t hesitate to race with Honda if that was ultimately the direction we were headed.